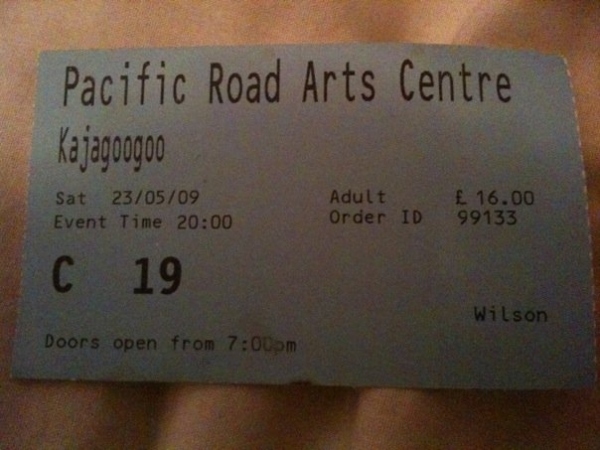 On 23rd May 2009, KajaGooGoo played the Pacific Arts Centre in Birkenhead. This gig was announced before the tour so at the point this was announced in January 2009, we had no idea what was coming. A little closer to this gig, the tour was announced and so this show was then classed as the warm up for the tour. I think that worked out really well as it gave this show a relaxed feel and to know more shows were coming after this one was a really nice feeling to have! I remember before this gig, there was a good buzz about it on the official forums and many of the fans had bought the VIP tickets to meet the band afterwards. I had decided against that for this show but was just really happy to know that I had a front row seat and was really looking forward to it. Not long before the gig, it was announced that the venue would be cabaret seating and I remember us lot being really hacked off about it. That meant seat numbers would be out of the window and it would be a free for all. Saying that mind, can you imagine the loyal Goo fans not being there first?! As it turned out, they’d actually reserved the front tables and kept them as Row C which was brilliant. When we arrived there and entered the venue, we marched up to the front and parked ourselves on a table and started to meet the fans which I’d spoken to so many times on the forums. That was a great thing for me then, it wasn’t just about the band but meeting some great people also. I met Rachel there who I’ve met a few times since (including randomly at the Rewind Festival TWICE out of thousands of people!!) and also that’s the first time I met Dan Spider. I just told him I recognised him from the Stables gig and we had a good chat and he’s such a nice guy. I also met Michaela who had travelled all the way from Germany for the gig and Dave who is such a greay guy, pleasure to meet them all. I did see Steve ‘theraggedtiger’ there but didn’t officially meet him properly. I also met Suzie from the official forums who introduced me to Wendy from the forums, she came over and sat with us and was really lovely and very excited!! We don’t hear enough from Wendy these days, come back girl! The concert followed a very similar pattern to that of the Stables gig, it was absolutely brilliant. I remember Glenn announced the band and they performed so well and played their hearts out that night and we couldn’t have asked for more. The atmosphere stays so relaxed across the night also, people ended up dancing right at the front, hardly any gap between the band and the fans at all. I remember being pleased at sticking my hand in the air and getting a good handshake from Limahl. Not just a regular one but one of those double types with the regular then the blood brothers type shake!! Simple things eh! I also remember a few times the band starting to play the next track over the top of Limo speaking!! Not sure if that was to reign him in or not!! When the concert was over, I was a little disappointed that all the great fans that I’d just sat with that evening were off to meet the band and I wasn’t. Rachel very kindly if I had anything I wanted the band to sign, that was such a lovely thing to offer. Still, I knew this relationship with the band wasn’t over yet and well, it still isn’t! We were not allowed to take photos inside the venue so unfortunately I have no pictures to share off this concert. All I can say is that if you were there, I’m sure you’ll look back on the evening very fondly and remember a superb concert. It makes real sense that this show turned into a tour not long afterwards. The overhead of getting the full band together and rehearsing for a one off concert must be very high. I feel the chances of getting another show like this would not be so high, but would so love to get another Stables show soon! Yeah it really was brilliant, maybe they could play there again!!? Steve.C I was also there too. How rude of you not to remember. lol. 😉 only kidding. It was a fun night, we met them that night and got some stuff signed then drove back home. Fun! oh yeah, i remember vividly at the stables the ridiculous mulled wine which took about an hour to be put in a glass which was red hot so i had to hold it whilst trying to look cool and pretending it was not burning me! funny things that stick in your mind. 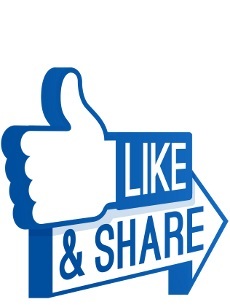 (sorry, that comment was sad & boring, i told steve i shouldnt post on this thing) lol. Ha ha cool, or should that be burning hot?! Thankfully I really don’t like wine at all in any form so I missed out on that little problem! I’d have no doubt squealed, pour it all down my front and looked like a right idiot, oh just whilst the band were walking right past aswell for good measure! That was a top night. I love the Stables – the band need to play there again real soon. The mulled wine was very nice……….I love Christmas time.